The Guyana Sugar Corporation (GuySuCo) has produced a dismal 34,450 tonnes of sugar for the first crop in 2018, out of a low production target of 36,105 which was set. The figure will likely be the lowest ever first crop for the industry which has seen four of its estates taken out of production in the last two years. GuySuCo has not made production figures available for the first crop. 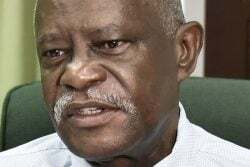 According to figures provided by the Guyana Agricultural and General Workers Union (GAWU), the three functioning estates – Albion, Blairmont and Uitvlugt – fell short of their target by 1,655 tonnes of sugar. While the Albion and Blairmont estates did not achieve their targets, the Uitvlugt Estate surpassed its goal. The three estates started grinding together on March 18 and the Albion and Blairmont estates closed off on May 12, while the Uitvlugt estate ended on April 21. According to the data, the Albion estate’s target for the first crop was set at 19,698 tonnes of sugar but it was only able produce 18,232 tonnes of sugar, despite working one week over its schedule. The Blairmont estate’s target was set at 9,736 tonnes of sugar but it was only able to produce 9,121 tonnes of sugar, despite working three weeks beyond its schedule. The Uitvlugt estate saw a better performance and was the only one of the three to surpass its goal. A target of 6,671 tonnes of sugar was set and the estate produced a total of 7,097 tonnes of sugar and worked only one week over its scheduled 6-week work plan. Last year, GuySuCo fell short of the projected figure for its first crop by some 24,566 tonnes. The Corporation had set a target of 74,172 tonnes of sugar but was only able to produce 49,606 tonnes. This year’s first crop is a further decline of 15,000 tonnes. Speaking about the poor performance of the sugar company this year, Head of GAWU, Komal Chand said that the underperformance can be credited to a lack of motivation among the workers. “They (GuySuCo) performed badly and they failed to meet the target for the period of operation and they ought to give an explanation. Year in and year out they set up targets and have not been able to achieve it. “There’s no improvement and it’s getting worse. If you’re off by 5% and those variations it is understood in the agricultural enterprise when you have conditions like weather and so that affects the performance,” Chand explained. He pointed out that from communicating with the workforce on the estates currently, a major problem is the lack of motivation among the workers. “…It’s the fact that they are uncertain, even at these estates. What is taking place in terms of wrangling and the tug of war about the appointment of a [GuySuCo] board and whether the NICIL [National Industrial and Commercial Investments Limited] is [in] control [of the industry] or GuySuCo. There seems to be one turf but two sets of operatives trying to operate,” Chand said, while emphasising that there is currently a lot of “confusion” that is shrouding the industry which affects the workers and their morale. Over the years GuySuCo has also complained about the poor attendance figures of the harvesters for their respective estates. The sugar company has made many pleas to the respective communities to encourage the workers to turn out to assist with the harvesting and while they wanted to achieve an attendance rate of over 80%, the figures have lingered around 60%. In 2016, GuySuCo also fell short of its first crop target after it was only able to produce 56,825 tonnes of sugar from a projected figure of 80,270 tonnes, a difference of 23,445 tonnes. GuySuCo had said in a release that the shortfall in 2016 was due substantially to the El Nino weather conditions, which severely dried out the canes, drastically constrained cane growth and led to lower sugar content. Following the closure of the Wales estate on the West Bank Demerara when the second crop ended in December 2016, the remaining six estates continued the production of sugar. The target set for the four estates in Berbice was 53,800 tonnes in the first crop but they produced a total of 36,479 tonnes, a difference of 17,321 tonnes. Albion estate produced 18,325 tonnes from its target of 20,291 tonnes while Blairmont made 9,065 tonnes out of a projected 11,676 tonnes. Rose Hall estate produced 9,989 tonnes of sugar out of the target of 12,962 tonnes while the Skeldon estate ended the crop with 8,881 tonnes. In the case of the Demerara estates for the first crop of 2016, the production figure at Enmore was 6,072 tonnes out of a target of 12,033 tonnes and Uitvlugt produced 7,045 tonnes compared to its target of 8,339 tonnes.